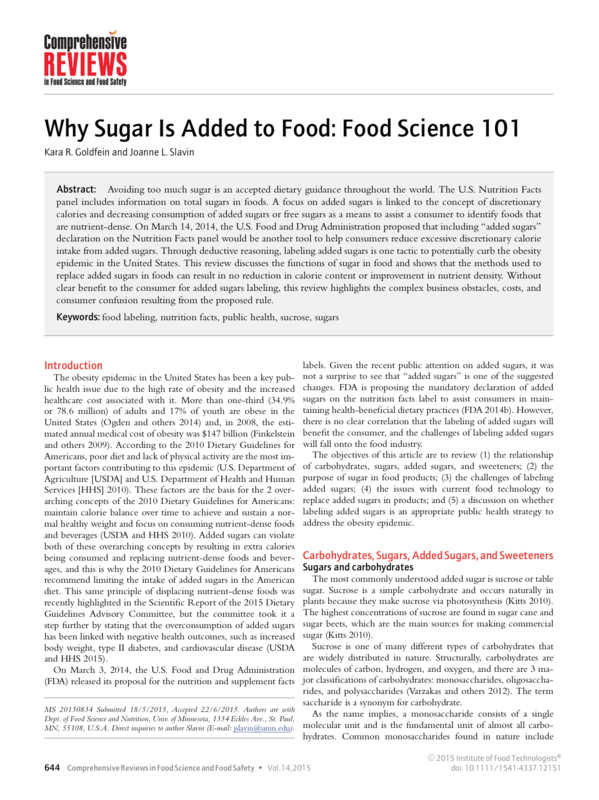 The Institute of Food Technologists review, “Why Sugar is Added to Food: Food Science 101” published in Comprehensive Reviews in Food Science and Food Safety, is an excellent overview of sugar’s essential functional roles in food formulation. This review also covers alternative sweetener options and states flaws and obstacles in the Food and Drug Administration’s proposal to require an “added sugars” designation on the Nutrition Facts Panel. The review also discusses the potential unintended consequences of focusing on reducing “added sugars”.